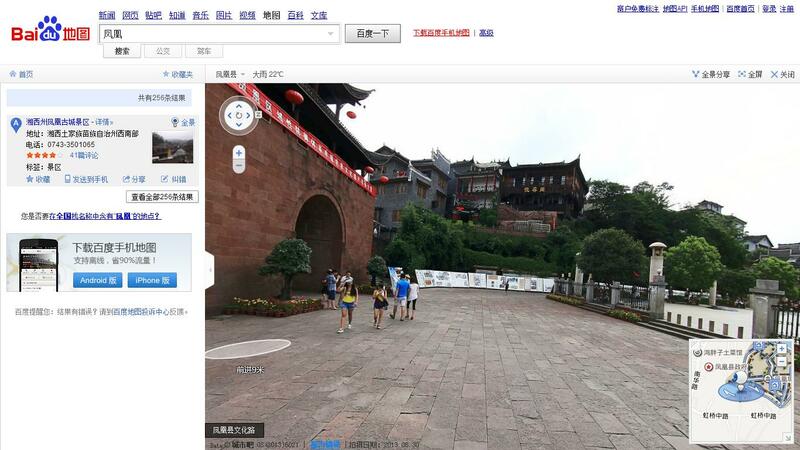 There’s one more reason to call Baidu ‘the Google of China’ after the company introduced Total View, a Street View-like feature for its Baidu Maps service. 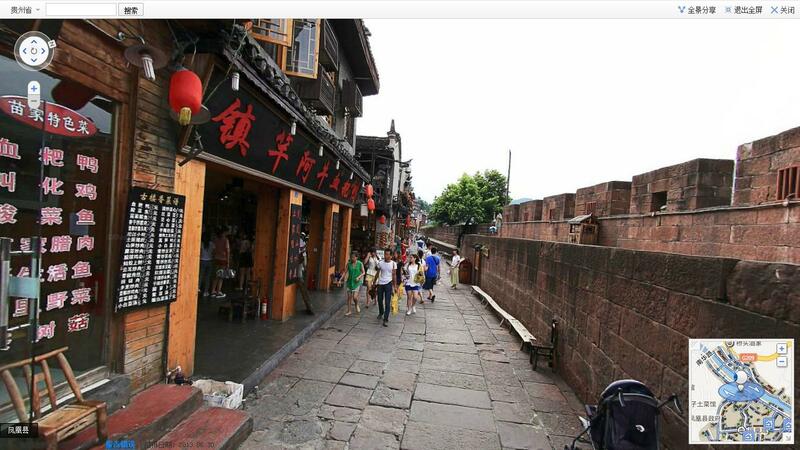 Google’s Street View project, which displays 360 panoramic images from a growing number of locations worldwide with Google Maps, is not present in China, so Total View is effectively China’s version of the service. 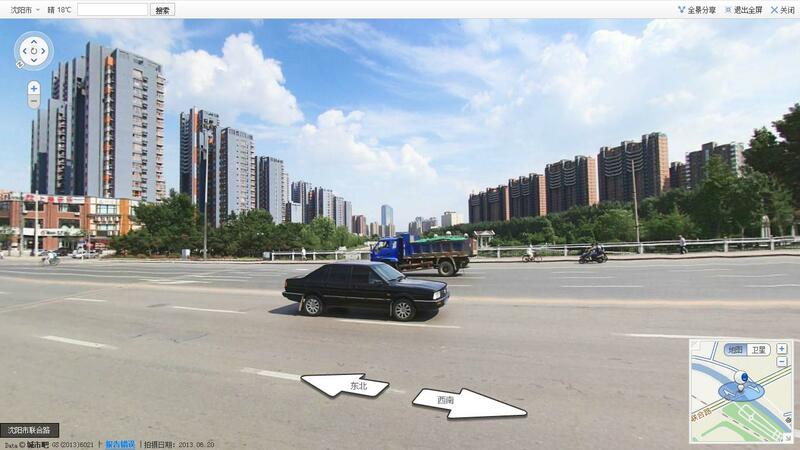 Total View is available as a feature inside Baidu Maps, and, unsurprisingly, it’s very Street View-like in its appearance. Click on the camera icon and place it in the map to get started. Assuming that the area selected is supported, Total View loads. 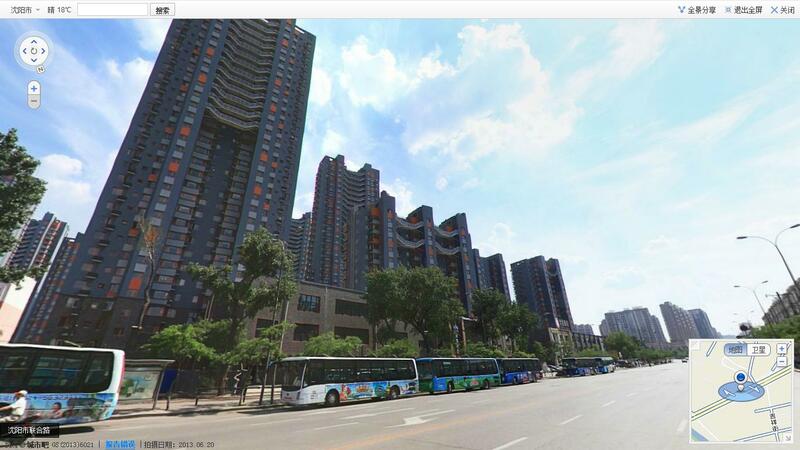 Like Google Maps, it allows the camera to be swiveled the full 360 degrees, and you can change position by clicking anywhere else in the shot or within the mini-map in the bottom right corner. 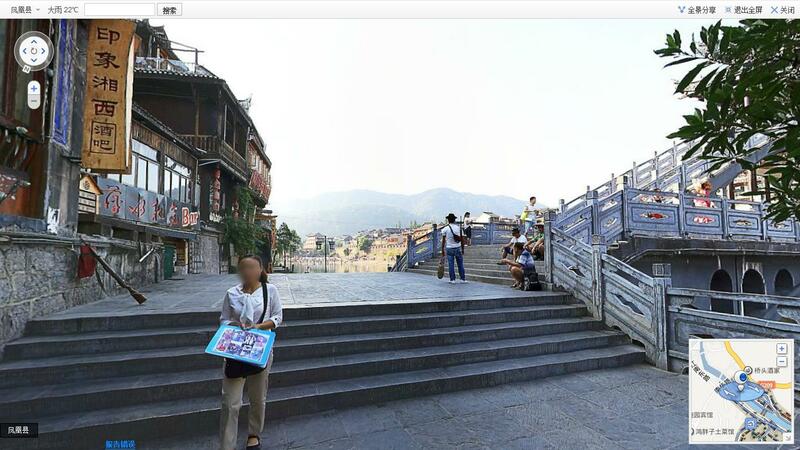 Here are some screenshots we took, you’ll notice that Baidu has blurred the faces of people in the photos, as Google also does. 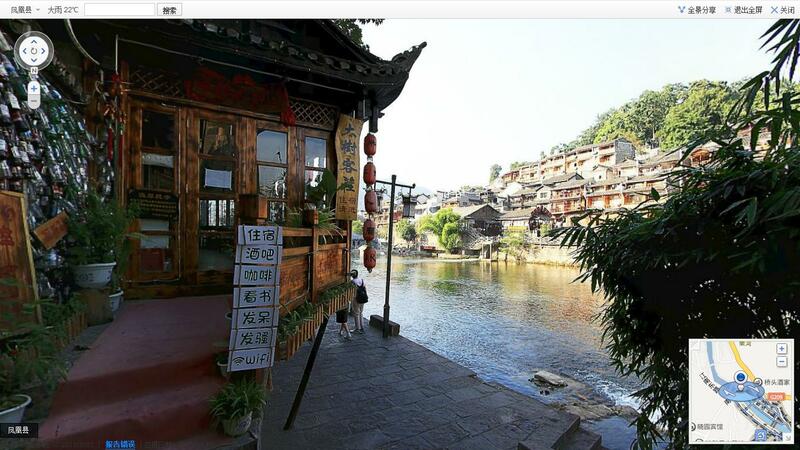 For now, Total View is Web-only and available for just three cities in China — Shenyang, Wuxi and Fenghuang — but Baidu has opened an API for developers, allowing them to include Total View in apps and other services. Last September, in the wake of the Apple Maps-iOS 6 saga/failure, Baidu introduced a raft of new features to Maps, including discount vouchers for selected retailers and restaurants, an upgraded voice navigation system, indoor navigation for malls, and real-time traffic and public transport information. 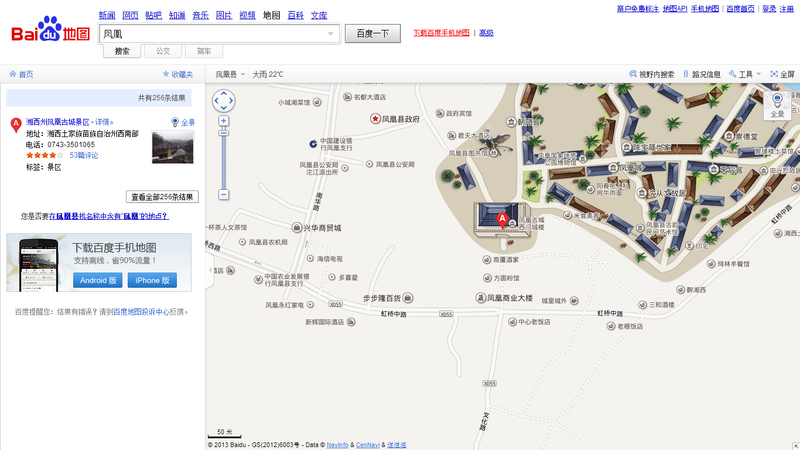 It later added location sharing and in-map/app chat, showing its intention to make its maps social. Rival Alibaba is also building up its maps business and, after launching its own Taobao mapping service for China last October, it paid $294 million for a 28 percent share of Autonavi, China’s top mapping service. 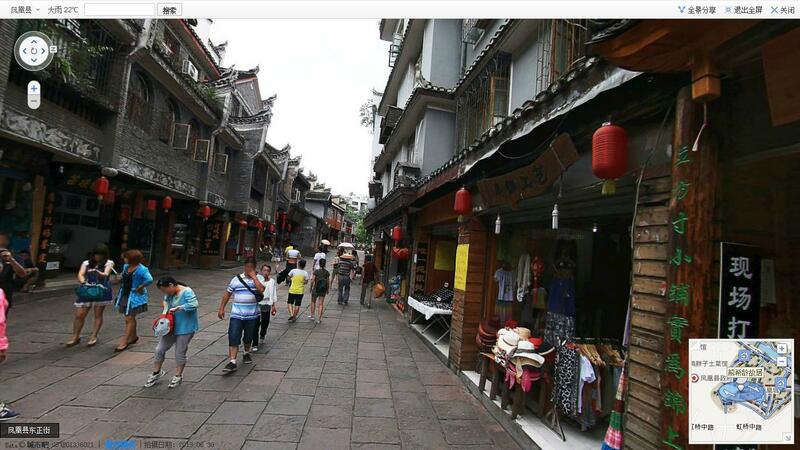 However, a Street View service doesn’t really align with Alibaba’s e-commerce business. Total View was announced at the Baidu World event yesterday, at which the company also unveiled ‘Light App,’ a mobile app that delivers information and services from a directory of third-party Web apps.